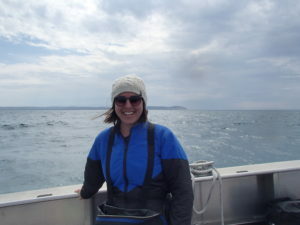 Emily Tyner between research dives at Good Harbor Bay, Sleeping Bear Dunes National Lakeshore (SLBE). 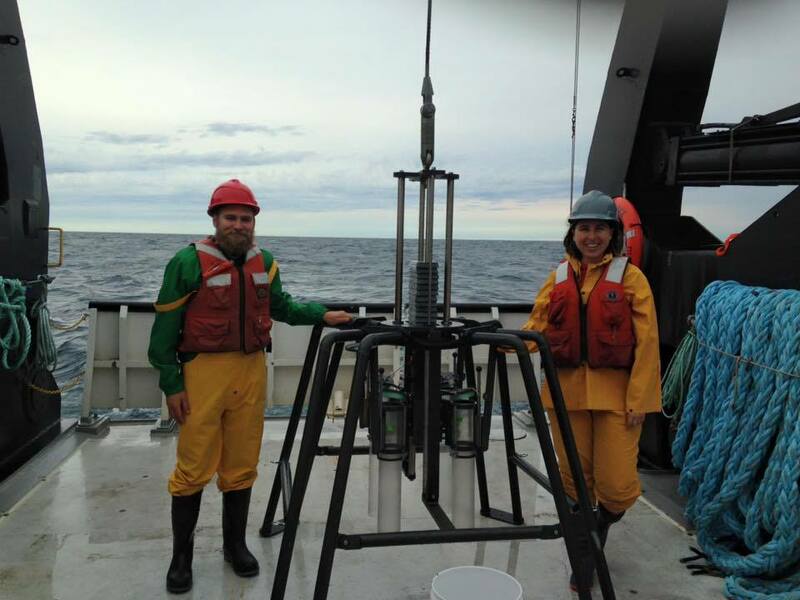 Emily and Zac Driscoll on the R/V Lake Guardian. 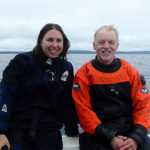 Emily with citizen science volunteer diver Ken Holman at SLBE. 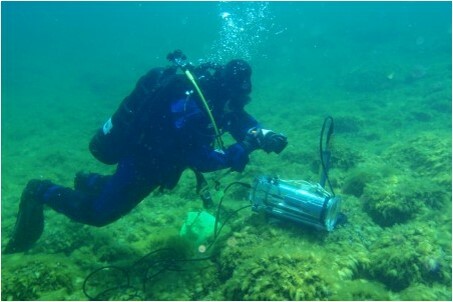 Measuring mussel respiration in Lake Michigan with an underwater dissolved oxygen system. 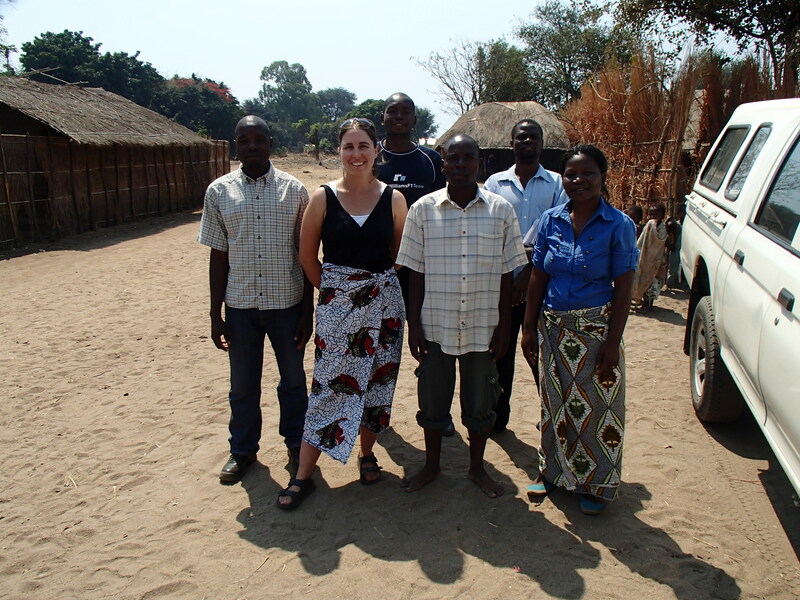 Emily with Malawian research crew assessing water quality along the shoreline of Lake Malawi. When I was young I loved being near and on water. 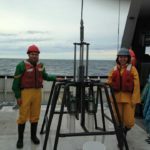 The science-water connection followed from an internship with Inland Seas Education Association in northern Lake Michigan. 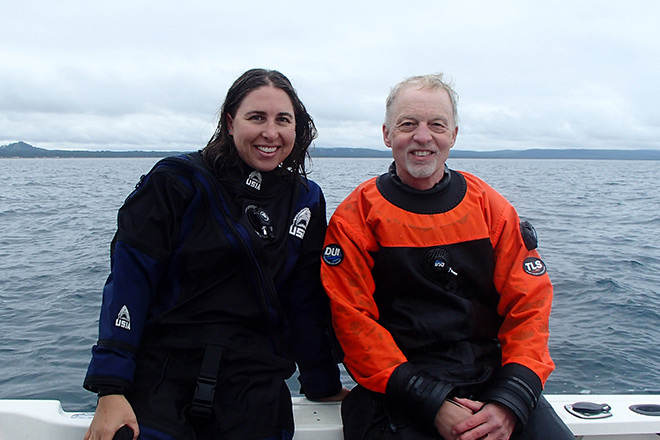 After two weeks teaching and working aboard their schooner Inland Seas I was hooked on a career in aquatic science. 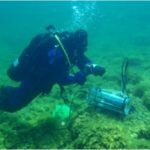 That set me on the path I’m on now, with diversions to ocean sciences (a Sea Grant funded coral education outreach job in St. Croix, USVI) and Africa (research on Lake Malawi). My master’s work focused on the impact of invasive dreissenid mussels on benthic dissolved oxygen conditions. For my dissertation I am transitioning into research on policy and science communication. A recent highlight working with educators occurred last summer during the 2015 Lake Michigan Shipboard Science Workshop on the R/V Lake Guardian. I was impressed with the teacher’s enthusiasm and commitment to the research, particularly when they stayed up late to help us filter water samples. As my labmate and I had trouble getting our experiment working, the teacher’s hung with us through the troubleshooting, and helped us to see the valuable lesson for students: that experiments rarely work the first time and persistence is key. A strong scientists-educator connection can bring the research alive as scientists share stories from the field or lab. Furthermore, the ups and downs of the research process, and the wonderment of discovery, are experiences worthy of sharing as they contain life lessons that extend beyond research. But the sharing process isn’t one-way, educators can offer a new and helpful way of looking at problems that stump scientists. Thinking back on my Lake Guardian cruise, the educator’s helped us gain helpful perspective when we faced hours trying to determine the problems with our experimental setup. Something I am looking at in my own research is the process from funding, to research, to dissemination, to impact via policy/management implications. Educators are an integral part of the dissemination process. If scientists want their research to have impact they must gather public support; educators and students are key messengers in the communication chain from research to impact. Persistence! There are so many high and lows in research and it takes persistence to work through the low points. Inherent in the process is confusion, disappointment, technical problems, and sometimes exhaustion, but persistence through the roadblocks has great rewards when your experiment produces meaningful results.